Our experience in land use, planning and zoning is a natural outgrowth of our municipal and real estate practices. In addition to representing municipalities, the Firm also appears before zoning and planning boards on a regular basis. The Firm has handled subdivision applications, site plan approvals, variances, special use permits, change-of-zone applications and the development of master plans and Local Waterfront Revitalization Programs. 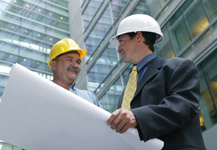 We also handle environmental compliance and litigation.